I have always loved and been fascinated by Gargoyles. I blame going to St Francis Xavier's Cathedral school when I was young, as the Cathedral was covered in Gargoyles. 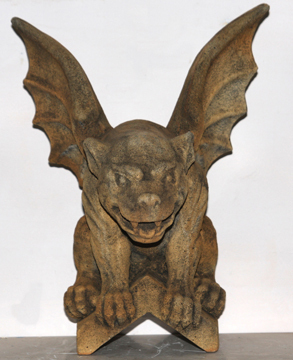 ﻿ Gargoyles are said to scare off and protect the building from any evil or harmful spirits. 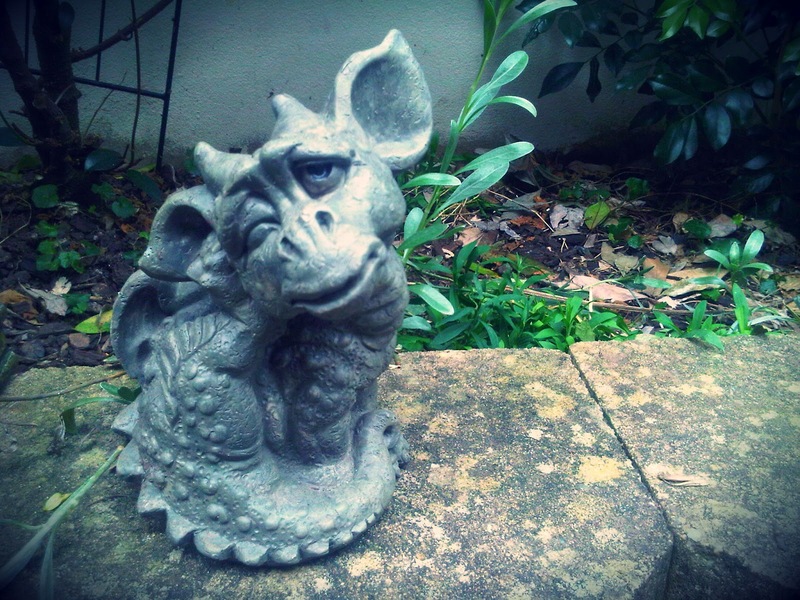 When we bought our house, the first thing we did was buy a Gargoyle. 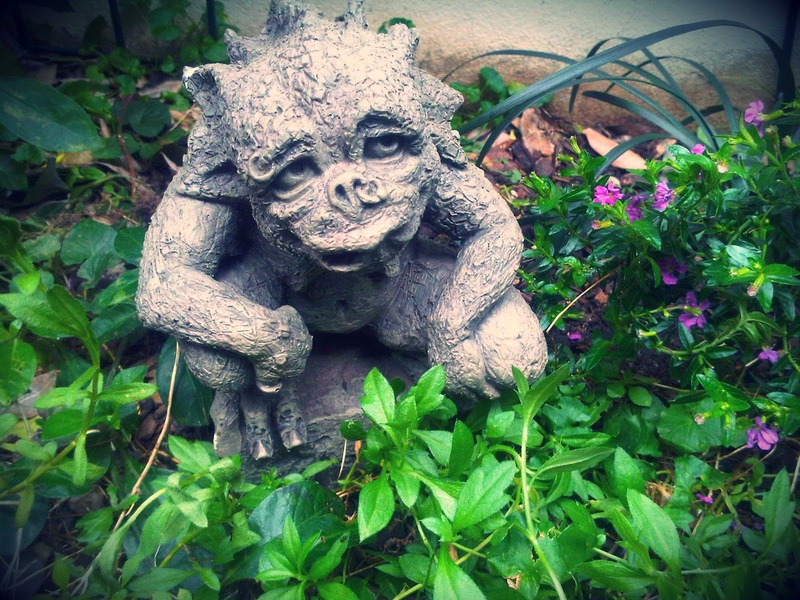 His name is Hazem, and he has been living in our garden and protecting our house ever since. We bought Hazem from 'Stone, Fire and Water', a store in Newtown that specialises in Gargoyles and mythical creatures. ﻿ We recently bought 'Mullow' and he lives in our bedroom. We also have a dragon that also lives in our garden. 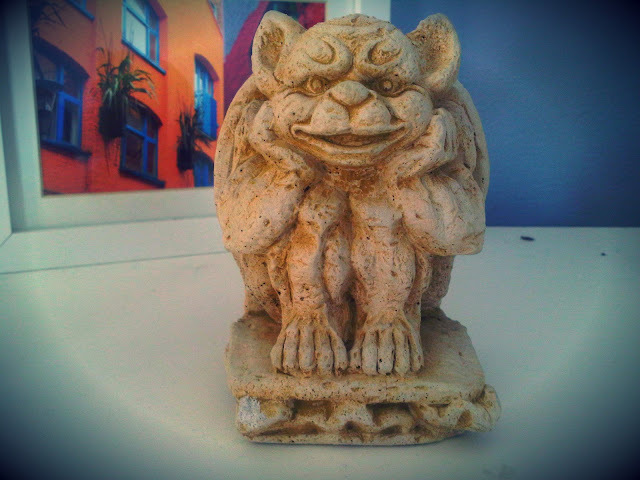 #78 on my Life List ﻿﻿﻿is 'Live in a house with Gargoyles'. 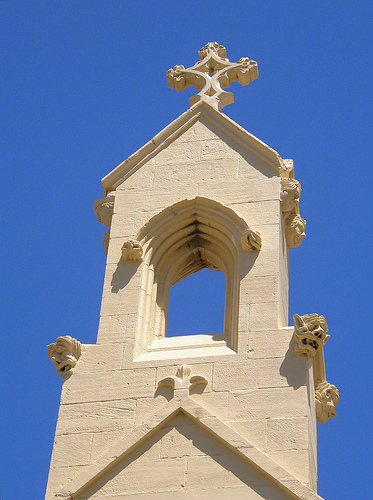 What I mean by this is actually have a Gargoyle on the eave of my house, like they are on churches...and maybe some more like Hazem in the garden. I live in a townhouse at the moment, so unfortunately I can't add a Gargoyle to the roof. But when we buy the terrace of our dreams (#11 on my Life List), the first thing I will do is add a roof gargoyle, similar to the one below.